Everyone has their own unique relationship with food. For some, it’s a passionate love affair and for others it’s a meaningless obligation. But despite where your connection may fall on the spectrum, we all have that one meal that brings us comfort above all else. And it’s not always chicken noodle soup or herbal tea. More often, it’s a recipe that reminds us of someone, a time in our lives or a feeling of sorts. This connection, this ability to recreate a positive memory through food is incredibly powerful, and it’s why I love cooking so much. Today, I’m going to share with you a recipe for spaghetti that’s been in my family for years. It reminds me of my mother, of a time when I was only as tall as her hips and could be wrapped up in her soft flannel hugs. Of hearing the garage door open and racing to greet my father at the door. Of the four of us, gathered around the table during a simpler time, twirling noodles and sopping up sauce with a warm loaf of bread. It was a meal we all loved equally and a recipe we never changed. Of course I’m biased, but I think this is the only spaghetti recipe you’ll ever need. It’s what I take when visiting new mothers or anyone in need of a helping hand and I like that it invites togetherness, because who wants to eat a big pot of spaghetti alone? This spaghetti sauce is hearty, with just the right thickness to top a freshly made bed of spaghetti noodles. It's not too acidic thanks to the savory browned beef and a medley of herbs and is loaded with flavor. I like to garnish my plate with a bit of shaved Parmesan or Asiago cheese, a sprinkle of chopped parsley and a few torn leaves of fresh basil. A dash of red pepper flakes also adds a nice kick. Lastly, you can’t have spaghetti without garlic bread! 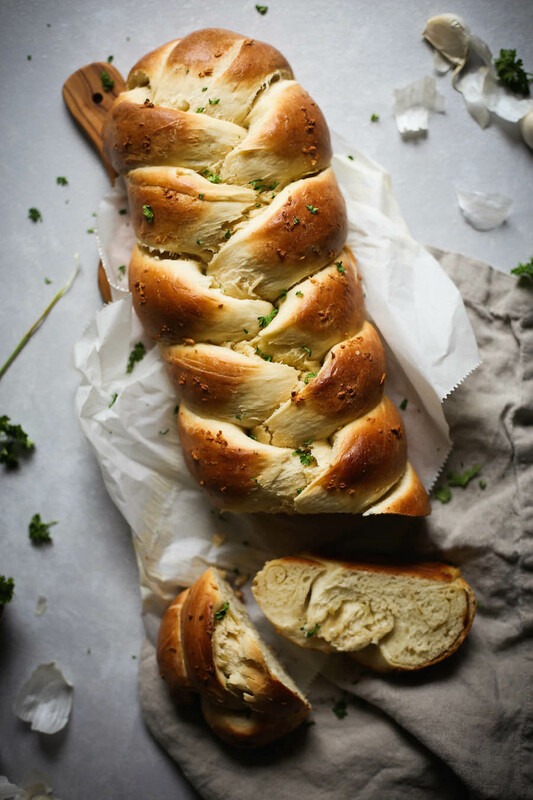 I’ll be sharing my recipe for Garlic Challah Bread (photographed above) with you later this week! Place the onion, beef and garlic in a large pot or dutch oven and sauté until the beef is browned. Then, add the remaining ingredients and 2 cups of water. Stir to combine and bring the sauce to a low boil, then reduce to a simmer. Simmer uncovered until the sauce is thickened to your desired consistency. For me, this is around 1.5 hours. Serve over a bed of homemade pasta (click here to learn how to make fresh pasta) and sprinkle with chopped parsley, fresh basil and Parmesan cheese. Serve with a warm loaf of garlic bread and enjoy!